With a stronger emphasis on content in recent years, blogs have emerged as a valuable tool to present industry related information to your online community. As more and more of the consumer buying process occurs online and without the presence of sales representatives, successful businesses are benefitting from blogging while other companies are being left behind. An effective blog post will attract your target audience and work around the clock to fill the top of your sales funnel; but what should your post include to deliver the increased visibility and prospects you're looking for? In today’s blog post, we will review my top components of an effective blog post. Here we go! Although it may seem obvious, poor blog formatting remains a primary reason many business-to-business companies are failing to see the results they want out of their blog and content creation efforts as a whole. From a strictly aesthetic standpoint, the way you format your blog post plays a critical role in the perceived validity of your content and whether people even take the time to read it. Beyond the obvious standard practices, a catchy title and including images and/or videos in the format of your blog post is a must. 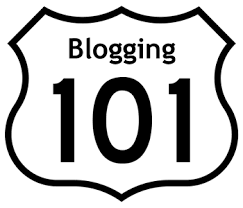 Title- The first component of a good blog post is a catchy and appealing title. If prospects are not intrigued by your title, the chances of them reading your post are slim to none. Creating a title that elicits curiosity and emotion while highlighting a benefit will draw more attention to your post than you can even imagine. The title of your post is the first thing potential readers will see so don’t sleep on this aspect of your post. If you do, you will regret it. Imagery- Multiple studies have shown that readers engage at a higher rate when pictures and videos are included. Start including images/videos in your posts and the average time spent on your posts per reader will increase. This is a great start but the goal of a blog post is not to simply have people read it, which leads to my next top component. A potential prospect has come across your beautifully formatted blog post and took the time to read it (after being wowed by the embedded picture, of course), so what happens next? If your blog post doesn’t provide the reader an easy way to engage further, the answer is probably nothing. There are three common tactics used on effective blog posts that lead your reader to greater engagement. Social Sharing Icons - Giving readers the ability to take your blog post and share it over social media platforms such as LinkedIn, Twitter and Facebook is invaluable. Promoting your own work is always great but having someone else promote your content to hundreds or even thousands of their friends, followers, and connections is true validation. Anchor Text - Anchor text is highlighted words or phrases within the body of the post that link back to your website. It is a key element of every post. The reader wants to learn more about your business and making them work to do so is a huge mistake. Anchor texts are the roads that navigate the reader directly back to your website. The potential to convert the reader to a customer is beginning to show itself. Calls-to-Action- All blog posts should also include a Call-to-Action button or CTA. All CTAs don’t offer or promote the same thing but all CTAs do serve the same purpose. Whether urging the reader to sign up for your company newsletter or offering a free whitepaper, the goal of a CTA is to drive action in the prospect. Once a reader fills out a CTA, they are in your funnel and are ripe for further cultivation. No longer will interested readers disappear because of the inability to engage with your content. However, what can be done with your post to ensure more readers find it in the first place? Search Engine Optimization is a primary component of any good blog post simply because it will draw more eyes to your information. It is imperative that you are found when prospects are searching for material relevant to your business, and in this case your blog post. Keywords- Focusing on business key words that are relevant to your company is the start to optimizing any blog post. Once you have determined the appropriate key terms create a title as well as a meta description that includes those terms. Meta description- The meta description is the brief summary that appears when your post shows up on search engines. By using your key words in the meta description, it is more likely your target audience will take note and view your page. Now that your blog post is appropriately formatted, outfitted with the necessary engagement capabilities and is SEO friendly, you may think it is ready to take off, and you may be right. However, all of that work is for not if your post isn’t made up of worthy content. The final component of an effective blog post is and always will be strong, influential and most importantly, relevant content. With content marketing taking off as a valuable and effective tool for lead generation and business development, companies are developing content at an extremely high rate. It is important to remember that while content creation is necessary in today’s business-to-business marketplace, promoting poor content can have negative, unintended consequences. While blogs in general tend to take on a more laid back style, your blog is essentially an extension of your website and a reflection of your business. Businesses should not post content just because they feel they have to. Businesses should post content because they have relevant and valuable information that will be useful to their target audience. There you have it - my top components of an effective blog post. Hopefully, you will use this information when sending your latest post out into the blogosphere. You will be glad you did!